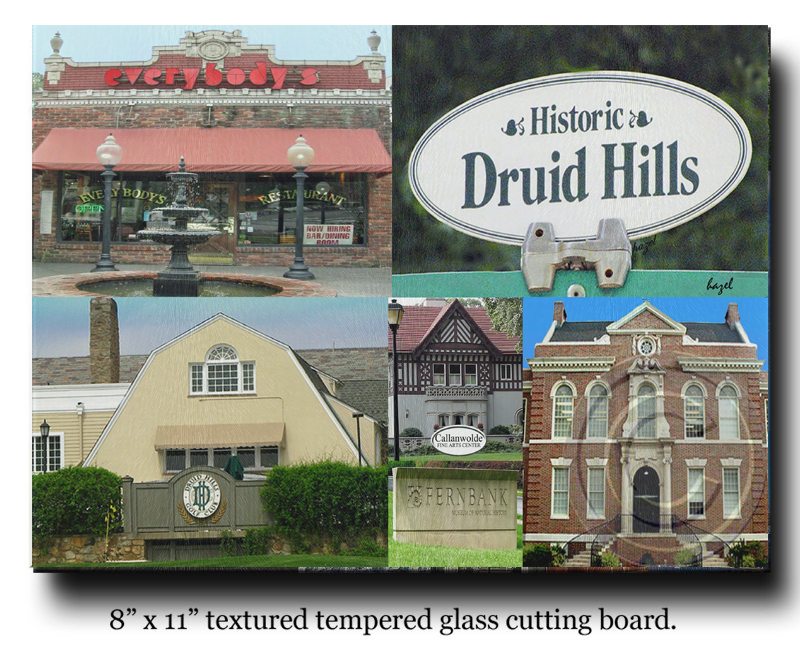 Home > CHEESE / CUTTING BOARDS > Atlanta Cutting Boards / Cheese Boards > Druid Hills Atlanta, Glass Cutting Board / Cheese Board.
? WILL NOT APPEAR ON CUTTING BOARD.